August 27th, 2017 – New Petition Aimed at Michigan Attorney General Bill Schuette Asks Him to Enforce Existing Laws Against ‘Smart’ Meters. We are calling on all of you who have issues with smart meters – whether it be for privacy violations, health violations or reckless disregard for our safety from lightning and fires – to join our NEW PETITION TO MICHIGAN ATTORNEY GENERAL BILL SCHUETTE. He is our state’s chief law enforcer and he has so far ignored the Fourth Amendment violations, Michigan’s own felony surveillance statute, and a state law mandating that utilities deliver safe energy. He has stood idly by while senior citizens have their electricity shut off for resisting this new technology – even when they have doctor’s letters and their very lives are placed at risk. This man is reportedly planning to run in the Republican primary as the party’s next candidate for Governor. Let’s let him know he won’t have our support if he continues to fiddle while Michiganders suffer! NATURE OF THE APPEAL: The defendant’s in this case, Ralph and Donna Stenman, having experienced some health symptoms from installation of a DTE smart meter, and concerned about further damage to their health and loss of privacy, strenuously objected to the installation of the smart meter, asking for return of their analog meter. When DTE ignored their pleas, the couple went ahead and replaced the smart meter with an analog meter they had purchased. DTE brought suit against them, asking the Oakland County Circuit Court for a “summary judgment” against the couple. A court can legally make a summary judgment when there are ‘no material issues of fact’ that might require a trial to resolve. The Stenmans interviewed several attorneys and were unable to find one willing to take on DTE. Accordingly they represented themselves in the original proceeding. They requested a jury trial. Circuit Judge Rudy Nichols granted the summary judgment, so that the Stenmans were denied any kind of trial or opportunity to develop their defense. An appeal was taken to the Michigan Court of Appeals, File No 321203, over the fact they had been denied a trial. The Stenmans again filed their own appellate brief. A reply brief and oral argument were presented for them by attorney Robert Igrasin. The appeals court, judges Patrick M. Meter, Mark J. Cavanagh and Kurtis T. Wilder, issued an opinion and order in favor of DTE on July 14th, 2015 and awarded DTE its costs and decided to publish their decision, which is now in all the law libraries as a precedent for similar cases in the future. Comment: The Court is saying, in effect, that the definition of ‘meter’ that is in the statute does not preclude the forced installation of any device by a monopoly utility so long as that device is called a ‘meter’ and actually does, among other things, measure electricity consumed. There is, therefore, potentially no limit on what could be forcibly installed on a private home. It seems to this writer that the Michigan Court of Appeals cannot have it both ways. If the earlier panel was correct that the MPSC had no jurisdiction over meter type and hence no obligation to allow evidence on privacy or health issues before approving DTE’s “opt-out” program, then the Stenman court cannot also be correct in ruling that DTE’s meter had been established as a lawful condition for receiving electrical service. Yet the Stenman court made no reference to the earlier decision, even though one of its judges had also been on the earlier panel. When one panel of the Michigan Court of Appeals overrules an earlier panel on an issue, there is a procedure for resolving the disagreement – a procedure not followed in this case. Comment: The Court is saying, in effect, that it is not enough for a home owner to present evidence that a utility’s actions are in fact endangering privacy or health, but that these defendants, who were without an attorney in the original court, must also cite prior court precedents where it had previously been established that privacy or health concerns could be a valid reason for opposing a utility installation. This despite the fact that the utility (plaintiff) had not cited any court precedent that privacy and health concerns were NOT a valid basis for objecting to an installation. Nor did this court cite any precedent to establish that privacy or health concerns were irrelevant to a utility installation. Where there is no precedent for a legal principle a case is generally termed a “case of first impression” and does call for analysis, but none was done by this court. “In support of their health-related defense, defendants provided the affidavit of Dr. Hillman, discussing the health of a three–year -old child not involved in the instant case. The affidavit does not establish that the smart meter installed at defendants’ home operated in a similar fashion, emitted the same level of “electricity [that] permeat[ed] the house,” or caused similar health effects , and thus fails to be competent evidence that the smart meter installed on defendants’ property posed a risk to defendants’ health. Again, considering the evidence that was before the trial court, we conclude that reasonable minds could not differ in holding that defendants failed to provide a factual basis for their privacy and health -related defenses and, as a result, failed to demonstrate that a genuine issue of material fact exists with regard to the viability of those defenses. Comment: There were ample citations in the Stenman case to situations where the government aided and abetted a private actor to commit an action later held to be a Fourth Amendment violation. In this case the federal government provided 50% of the initial funding for DTE smart meters and the MPSC mandated Michigan utilities to participate in a “Smart Meter Collaborative” to plan for the implementation of smart meters in Michigan. This court simply did not want to go there. SUBSEQUENT ACTIONS: Application was made for the Stenmans by attorney Don Keskey to the Michigan Supreme Court to hear an appeal, and that application denied on March 8, 2016. Application was made, also by Don Keskey, to the U.S. Supreme Court for a Writ of Certiorari and denied by that court on May 4, 2017. The legal brief filed by the Stenmans can be found HERE. The decision of the Michigan Court of Appeals on this case can be found HERE. The conflicting decision of the Michigan Court of Appeals on the earlier, Kurtz, Edwards and Cusumano consolidated appeals can be found HERE. CONCLUSION: In view of this case, other utility customers wishing to fight their utility in court over a smart meter installation will have a hard road to travel. That doesn’t mean it is impossible, but any future case will need to distinguish itself from this case by rigorous presentation of evidence with the first filing or first response or by the time of a first motion hearing. A case in which actual harm, and not only hypothetical harm, can be shown conclusively, would have a distinct advantage. 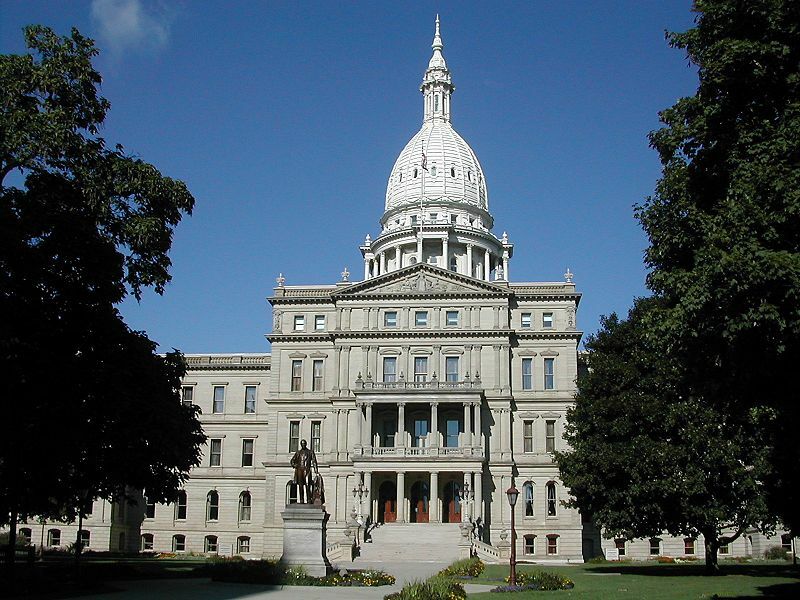 All that happened in this case also illustrates the importance of securing a legislative solution, as many of us are attempting to do now with Michigan House Bill 4220, sponsored by Representative Gary Glenn with 17 cosponsors. Text of the Glenn bill as originally introduced can be found HERE. A subsequent admendment was approved in committee that excluded water utilities from the bill. * David Sheldon is not an attorney but has represented himself successfully in both federal and state courts. May 19th, 2017 – Smart Circuit Breakers: The Next Frontier of the Grid Edge? Most of the circuit breakers out there are fairly simple, electro-mechanical devices that sit idle the vast majority of the time. But the latest versions are coming with features like wireless connectivity and computing power that are meant to turn them into something more like a smart meter or a smartphone. On July 15th, 2015, a decision was handed down by the Michigan Court of Appeals that, if not appealed, will severely constrain the rights of all Michigan utility customers. This article is written, in part, as a response to an inaccurate and misleading article published a few days ago on another smart meter website. Sadly that article unfairly characterized the efforts of a couple to defend themselves against utility bullying and implied that, if only they had hired a good lawyer, the outcome would have been different. We know there are thousands of you, in southeastern Michigan alone, who have resisted the forced installation of a “smart” electric meter. Many of you have locked your meter enclosures or otherwise limited access by utility installers bent on replacing your traditional meters. Thousands of others who have the new smart meters are now suffering serious health effects that limit them in the use and enjoyment of their homes. The universal experience has been that, once a smart meter is installed, the utility will not remove it for any reason. At least 20 families that we know of have found it necessary to resort to self help in order to rid themselves of an intrusive and life limiting device. Such was the case for Ralph and Donna Stenman of Farmington Hills. In early 2012, after pleading with DTE to remove a smart meter that was making Donna ill, the couple finally resorted to removing the offending device themselves and replacing it with an industry standard calibrated analog meter. The smart meter itself was in no way tampered with. It was simply removed from the meter housing (owned by the homeowner) and safely returned to DTE. The utility objected that the meter the couple installed was not an approved device. The couple responded that DTE was welcome to replace it at any time with an analog meter of their own specifications. The utility responded with threats and repeated attempts to re-install the smart meter. The Stenmans believed they had no choice but to notify the utility that any access to their meter would have to be by appointment only and under supervised conditions. The result was that DTE sued the Stenmans seeking, among other things, an injunction that would command the couple to allow DTE installers to enter upon their property for the purpose of re-installing the smart meter. The lawsuit was heard by Oakland Circuit Judge Rudy Nichols in the fall of 2012. The couple wound up representing themselves after approaching a number of attorneys who refused to take the case, stating either that it was hopeless to go up against a utility or that DTE would bankrupt them if they took the case. A preliminary hearing was scheduled with DTE asking for a summary judgment. In preparation for that hearing much research was done on the law to determine what sort of evidence the couple would need. Michigan Stop Smart Meters provided assistance. The couple filed a formal response to the suit, explaining why the smart meter had to be removed, and providing an affidavit from a doctor that an identical smart meter installed on another home had caused severe illness. Also presented was a government document explaining how these meters would invade privacy and that they should be installed only with consent of the homeowner. The couple fully expected that this preliminary evidence would be enough that the judge would schedule a trial. Instead, in December of 2012, the judge granted DTE a summary judgment with no opportunity for the couple to present any further evidence. 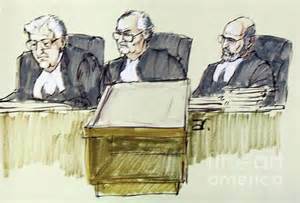 Judge Nichols stated in his decision that the Stenmans had not met their burden to present evidence showing that, if a trial were held, they had a reasonable chance to prevail. Yet another Oakland Circuit Judge had heard an identical lawsuit by DTE against another couple a month earlier, been presented with the identical evidence, and found that evidence sufficient to warrant scheduling a trial. Judge Nichols also ignored the fact that DTE had not presented any evidence that their smart device had ever been authorized by either the legislature or the Michigan Public Service Commission. The law is clear that a summary judgment is only legal when there are no material facts in controversy. The law is also clear that any ambiguity in the factual situation must be resolved in favor of the non moving party – in this case the Stenmans. Judge Nichols decision was clearly contrary to law. An appeal was filed. The Stenmans filed their appeal brief without benefit of an attorney. The wheels of justice turn slowly. It took from December of 2012 until June of 2015 for oral argument to be scheduled. The Stenmans finally found an attorney to represent them at the oral argument. Some of you had the opportunity to hear that. That even though the burden of proving the necessary elements of a complaint always (by law) falls on the plaintiff, that burden can be cast, when convenient, upon the defendant. That, although DTE had never presented any evidence, or even an assertion, that their smart meters were lawful, these meters were nonetheless lawful. That, even though the Michigan Public Service Commission (MPSC) had no jurisdiction to tell a privately owned utility what kind of meters to use(*), the MPSC nevertheless had the authority to authorize the new smart meters, and the utility could rely on that authority to force installation of the new meters. That, even though a private utility is required to have its rules and conditions of service approved by the MPSC, and no such approval had actually been given for the utility to make smart meters a condition of service, that the utility could, nonetheless, mandate smart meters. That, even though the MPSC has consistently refused to hold any evidentiary hearings on the possible health dangers of smart meters, they were entitled to conclude, as a matter of law, that health effects of smart meters are negligible. That, even though the “opt-out” plan offered by DTE allows nobody to avoid having a smart meter and was not even an available plan when the Stenmans resorted to self help, this plan is cited as one of the reasons Judge Nichols was justified in his ruling. That even though there is no practical alternative to DTE service for most people in southeastern Michigan, nonetheless being a DTE customer is “voluntary”. That even though evidence was provided the court that an identical smart meter had made a child severely ill, this did not constitute evidence that it might endanger the lives of an elderly couple. That even though the issue of the “opt-out” plan being an opt-out in name only was fully discussed in the Stenmans’ original pleadings before Judge Nichols, the Court of Appeals finds that this issue was not raised in the trial court. That, although the Stenmans provided an official publication of the U.S. government in which the National Institute for Standards and Technology concluded that smart meters will violate the privacy of homeowners wherever they are installed, the Court of Appeals finds that such concerns with privacy are merely “conjectural and hypothetical”, and that there has been no showing of “actual or imminent harm”. Therefore the Stenmans “have no standing” to raise the Fourth Amendment issue. Whether one reaches this point fully represented by an attorney or reaches it through one’s own efforts makes little difference in the end. What we see in this Appeals Court decision is not respect for or observance of law. What we see is a politically motivated decision based on the idea that nothing should get in the way of the smart grid agenda. Or that nothing should get in the way of powerful interest groups. This is not to say that our legal system is hopeless or that we shouldn’t try to defend our rights through lawful means. Not every panel of the Court of Appeals will be as unreasonable as this one, and not every trial judge will be as unreasonable as Judge Nichols. * Another panel of this same Court of Appeals so ruled in March, 2015 in the case of Cusumano v. MPSC. On February 19th, 2015 a decision was handed down by the Court of Appeals that may have some far reaching effects on the thousands of angry utility customers and on the 34 city, township and county governments that had sought relief for their citizens from DTE’s bullying meter conversion tactics. Discontent with this plan centered on the fact that the Michigan Public Service Commission (MPSC) had approved a plan that did not address the issues that caused the MPSC to begin its investigation in the first place. We will address first, what was decided in this case, and then, on a more hopeful note, what was not decided by this case and remains open for further legal proceedings. There had been two appeals, one by Cynthia Edwards, Linda Kurtz and Leslie Panzica-Glapa, represented by attorney Kurt Koehler, and a second by Dominic and Lillian Cusumano representing themselves. Both appeals had argued that the MPSC had not done its job correctly in approving the DTE plan. The Cusumano appeal further raised the issue that DTE’s plan was an unconstitutional violation of the Fourth Amendment privacy rights of its customers. The two appeals were consolidated, i.e. treated as one case for purposes of the Court’s analysis and decision. This appeal concerned directly the so called “opt-out case”, identified by the PSC as its U-17053 case, which the Court refers to as the “instant case”. This appeal turned indirectly on the earlier U-17000 comments case, wherein utilities, the public and staff were asked to submit their comments regarding smart meters. The earlier case was deemed to set the scope of this case. That, although the PSC made a ruling in Case U-17000 that all Michigan utilities with smart meter programs must offer an opt-out to their customers, the Court held that the PSC was under no obligation in the opt-out case (U-17053), to consider whether DTE’s plan actually addressed any of the complaints that had caused it to issue such an order. That, although DTE had not appealed the ruling in U-17000, the Court held that any decision concerning the type of meters to be provided utility customers was a “management prerogative” of DTE and that the MPSC had no authority to interfere with DTE’s decisions in that regard. the PSC’s authority was limited to rate regulation. What can one say about a three judge appellate panel that renders a decision characterized by the above seven points? Perhaps it is better to say nothing and let each reader reach his or her own conclusions. But, in any case, what this panel did may not be indicative of what other three judge panels will do on other smart meter cases that come before the Court. Will This Decision Be Published? At present this decision has been designated as “Unpublished”. What that means is that (1) it won’t become part of any bound volume in a law library, and, more importantly (2) it will not constitute a firm precedent for courts judging future cases. It can be cited by attorneys only to suggest a course of action for other courts. It is not binding precedent for any future case. There are, however, requests to the Court from both DTE and from MPSC that this case should be published because it should become a firm precedent for all the other smart meter cases that are already pending. We understand that an attempt will be made by one or both of the parties who lost this case to discourage the Court from publishing, so as to limit the damage from this case. Can This Judgment Be Appealed? Appeal is possible, both to the Michigan Supreme Court and, where federal questions are involved, to the U.S. Supreme Court. Neither of these courts, however, is obliged to hear any appeal unless it chooses to do so. These courts are very selective in picking cases to review and tend to make these decisions, not on the basis of achieving a just outcome for the particular parties, but based on maintaining consistency in the law or setting firm guidelines for the lower courts to use in future cases. For a court to find that MPSC has no authority to interfere with DTE’s “management prerogatives” is really a statement about the powers and responsibilities of the MPSC. Such a finding does not preclude the possibility that a court of general jurisdiction, i.e. one of the state’s circuit courts, might have the authority found lacking in the MPSC. There are forms of legal action, both in tort law and in contract law, that cannot be heard by the MPSC but could be heard in one of the state’s circuit courts. With regard to the Fourth Amendment privacy argument, all that the Court found was that these particular appellants had not met their burden to prove that smart meters are a surveillance device nor met their burden to show that the utility was acting as an agent of the government. These findings, even if published, do not preclude other parties or appellants in future cases from proving both of these points. There exists the possibility of getting from a circuit court a declaratory judgment that would define the rights of a utility customer, an injunction to enforce those rights, and an award of money damages for any harm that has been suffered by a party. We can win some of the battles ahead!!! One or more plaintiffs willing to sue DTE in one of the state’s circuit courts. A multi-plaintiff suit would probably be best. Object would be to get a declaratory judgment outlining the rights of the utility customer, an injunction to protect those rights, and money damages for any harm suffered. People willing to help us with the legal costs involved by donating money or time. PLEASE DONATE! We need to raise some serious money to pay legal fees and witness fees – both for circuit court actions and for administrative actions before MPSC. 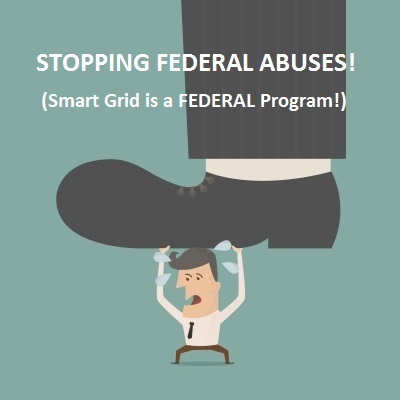 WHY DONATE TO MICHIGAN STOP SMART METERS?